A cookie is a small text file that is saved on your computer when visiting a website. 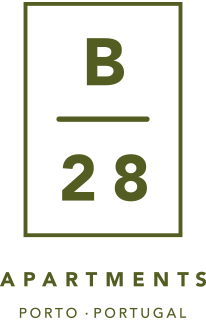 b28apartments.com uses the information for statistical purposes, to track visitor activity on the page, and to improve and personalize the website user experience. There are two types of cookies – persistent and session cookies. 1. Persistent cookies remain on visitor’s computer for a set amount of time. 2. A session cookie is stored on visitor’s computer for the duration of time they browse a website. As soon as the web browser is closed, the session cookie is deleted. Persistent cookies are used to e.g. 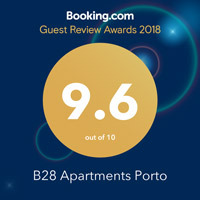 save potential personal settings that you have chosen when browsing b28apartments.com, so that you can skip this step on consecutive visits. Session cookies are used to collect statistics on website usage. If you choose to not accept cookies, you may turn off cookies under the security settings on your browser. Also note that you can manually delete cookies from your hard drive at any time. Remove cookies, PC: use keyboard shortcut [CTRL]+[SHIFT]+[Delete]. What Cookies are used at b28apartments.com? b28apartments.com e-commerce platform set cookies in order for basic functionality of the site to work- check out, shopping cart etc. WordPress – used for basic functionality of the site. Typekit by Adobe – a cookie is set in order to show font and custom design. WPML – cookies related with Stores languages. Wordfence – used for security. Cookie notice – used to save your acceptance for one week. Mailchimp – User email campaigns and product retargeting emails. Google Analytics- the following cookie is set by Google Analytics which we use in order to get an idea of how customers use the site. Read more here about how they are used. We anonymize IP and transaction-ID. JetPack– a cookie is set to measure the loading of the site. Hotjar– a cookie is set to analyze how the visitor moves around on the site.